to access the court system. An Overview of "Access to the Courts"
An inmate’s right of access to the courts is a fundamental constitutional right based on the First, Fifth, and Fourteenth Amendments to the Constitution. “All other rights of an inmate are illusory without it, being entirely dependent for their existence on the whim or caprice of the prison warden.” DeMallory v. Cullen, 855 F.2d 442, 446 (7th Cir. 1988) (quoting Adams v. Carlson, 488 F.2d 619, 630 (7th Cir. 1973)). A long line of U.S. Supreme Court cases establishes and expounds upon this fundamental right to access to the judicial system. The case of Ex parte Hull, 312 U.S. 546 (1941), stands for the proposition that prisoners have a right to access the federal courts for purposes of filing habeas corpus petitions. “[T]he state and its officers may not abridge or impair [an inmate’s] right to apply to a federal court for a writ of habeas corpus.” Id. at 549. Later, the Court in Johnson v. Avery, 393 U.S. 483 (1969) recognized that adequate legal assistance is an indispensable element of meaningful access to the court system. Such access cannot be denied or obstructed. In Bounds v. Smith, 430 U.S. 817 (1977), the Court established the right of access to the courts for purposes of challenging confinement or conditions of confinement. This affirmative obligation can be met by providing access to law libraries or an acceptable alternative. Id. at 825. An inmate alleging a Bounds violation must establish that there was an actual injury, i.e., that deficiencies in the law library and/or other legal assistance programs hindered a non-frivolous lawsuit. Lewis v. Casey, 116 S.Ct. 2174 (1996). However, “[t]he Constitution does not guarantee a prisoner unlimited access to a law library. Prison officials of necessity must regulate the time, manner, and place in which library facilities are used….The fact that an inmate must wait for a turn to use the library does not necessarily mean that he has been denied meaningful access to the courts.” Campbell v. Miller, 787 F.2d 217 (7th Cir. 1986), quoting Lindquist v. Idaho State Board of Corrections, 776 F.2d 851, 858 (9th Cir. 1985). “An inmate is entitled to law library access not only for pending litigation but also for any contemplated litigation.” Stewart v. McGinnis, 800 F.Supp. 604, 618 (N.D.Ill. 1992), quoting Shango v. Jurich, 965 F.2d 289, 292 (7th Cir. 1992), quoting Hossman v. Spradlin, 812 F.2d 1019, 1021-22 n.2 (7th Cir. 1987). 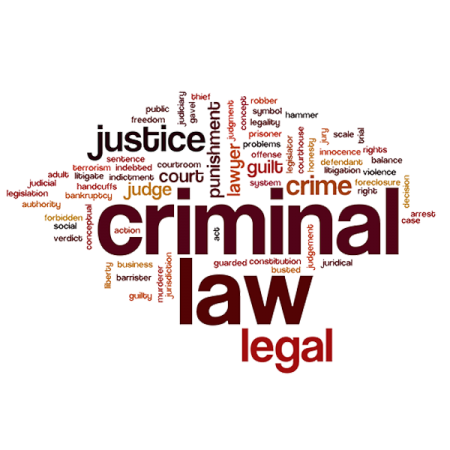 Thus, an inmate represented by counsel in pending litigation is still entitled to law library access for such counsel-represented litigation, any other pending litigation, or any future contemplated litigation. The only restrictions that a correctional facility can place on an inmate’s access to legal materials relate to time, manner and place relative to the security requirements of the facility. Prison and other government officials can effectively limit exposure to claims alleging denial of an inmate’s right to access the judicial system by implementing policies which prohibit any restrictions to an inmate’s request to access legal materials–except those restrictions currently allowed under current case law. The resulting reduction in liability will allow for cost savings for correctional facilities, government officials, underlying governmental agencies, and taxpayers as a whole. The Solution to this is simple--LRA! It's time to let LRA's off-site legal researchers do the work.